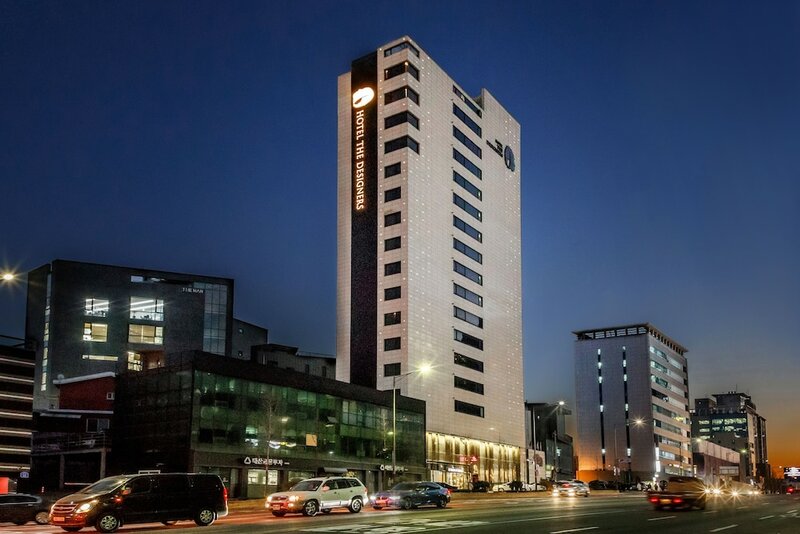 Located in Mapo, this hotel is 0.7 mi (1.1 km) from YG Entertainment Building. Along with a coffee shop/café, this smoke-free hotel has a 24-hour front desk and tour/ticket assistance. Free WiFi in public areas and free valet parking are also provided. Other amenities include multilingual staff and a front-desk safe. All 80 individually decorated rooms feature free WiFi and memory foam beds. Conveniences include refrigerators and coffee makers, and guests will appreciate thoughtful touches like bathrobes and slippers. The hotel offers a coffee shop/café. Wireless Internet access is complimentary. This business-friendly hotel also offers tour/ticket assistance, multilingual staff, and a safe deposit box at the front desk. Onsite valet parking is complimentary. Hotel The Designers Hongdae is a smoke-free property. Humming Bella - This restaurant specializes in Modern European cuisine and serves breakfast and brunch. Open daily. Start your morning with a continental breakfast, available each day from 7 AM to 9 AM for a surcharge. This property's policy is to refuse certain bookings for the purpose of group events or parties, including pre-wedding stag/bachelor and hen/bachelorette parties. Guests under 21 years old are not permitted at this adults-only property. No pets and no service animals are allowed at this property. Your dates seem to be a bit off. Please enter your travel dates like this: yyyy.mm.dd.